6 for $189.00 total Need more quantities? This showy South African genus has 10 species that are widely grown for their exotic blue or white flowers, which show from June to August. The plants are of easy culture in full sun or partial shade and rich, well-drained soil, and their graceful, expansive habit and long period of bloom make them an ideal choice for planters in northern climates. We ship substantial plants, but they will not always bloom the first year for you (sometimes it happens here before delivery). 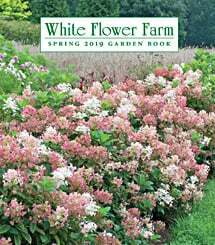 This is not a cause for concern, as the more tender varieties are easily overwintered in a cool room free from direct sun and will certainly win their way into your long-term garden plans. Incidentally, Agapanthus make a glorious addition to the garden in warmer areas and are increasingly popular for this use. For more information on the growing and care of Agapanthus, click Growing Guide. Grow Agapanthus in full sun or partial shade (partial shade is recommended in warm inland areas of the West) and rich, well-drained soil. Most plants are tender and should be grown in containers to bring indoors for the winter (except for 'Midknight Blue' which is hardy in Zones 6–10). Plants in containers bloom best when they are pot-bound and when given fertilizer that is low in nitrogen and high in phosphorus. Before the first hard frost in autumn, bring indoors and set in an east or north window in a cool room. Keep on the dry side (but not so dry that the foliage withers) and withhold fertilizer in winter.